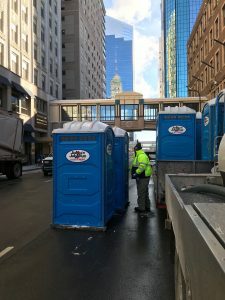 A Small Portable Toilet Company Gets a BIG Break – The Super Bowl! Lana received the call in November that Jimmy’s Johnnys would be the sole supplier of portable toilets for the 2018 Super Bowl LII. The choice came down to them and a few other companies. Then after a phone interview, price exchange, and careful consideration, they were selected! “We are probably one of the smaller companies, so we thought there’s no way! We’re going up against the giants in Minnesota,” said Lana. Jimmy’s Johnnys is excited to take this opportunity. This is a great way to get their name out during a world-renowned event. “We’re just really excited to finally have Jimmy’s Johnnys name on the map here in Minnesota,” she said. 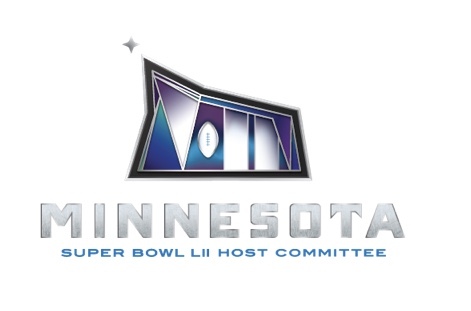 The Super Bowl LII will be held February 4, 2018 at the U.S. Bank Stadium in Minneapolis, Minnesota. Jimmy’s Johnnys can’t wait to work the event, and they’re hoping to get the chance to cheer for their home team as well. A lot of preparation goes into any portable toilet job, including customer management, scheduling, route management, invoicing, and more. The Super Bowl is approaching quickly and the company is ready to go. To prepare, Lana ordered a bunch of brand new units to ensure everything will be up to par. 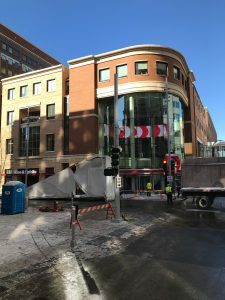 “We usually buy new units in the beginning of the season in June, but we bumped that up so we could get them cleaned and ready to go,” she said. Jimmy’s Johnnys will be supplying 300+ portable toilets, and that number could grow. They will also supply executive restroom trailers, attendants, water tanks, and other products. Lana explained that small businesses are generally known for their personal, family-oriented way of doing things. This means always putting in extra effort to ensure everything gets done the right way. The services they provide aren’t just another job — it means so much more to them. They truly care! It also helps that the portable toilet industry is like no other. Jimmy’s Johnnys Inc. is a rental company for portable toilets, restroom trailers, portable sinks, and storage containers. The family-owned business was originally founded in 1979 as a small septic company. 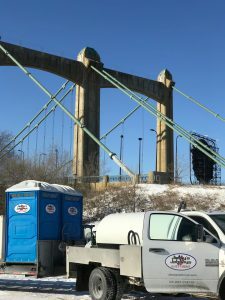 Now the 2nd generation owners offer their portable sanitation services throughout Minneapolis and Northern Minnesota. You’re gonna be gettin’ a lot of beer diahreer!